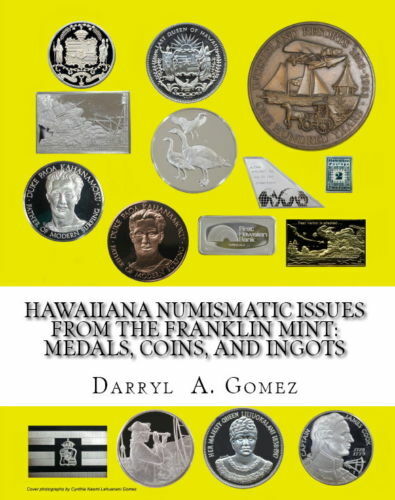 Listed as FMI-A01 in my just released book Hawaiian Numismatic Issues from the Franklin Mint: Medals, Coins and Ingots. 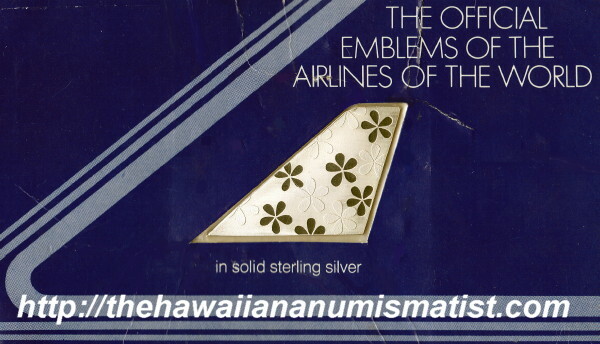 This Aloha Airlines sterling silver ingot has a mintage of 1,777 (mintage is deceiving as Franklin Mint collectors do not breakup sets). If you locate a FMI-A01 today, its a remnant from a broken up completed set. Hint: The choicest specimens are those in original Franklin Mint packaging. The proper collector term is Mint in Package (MIP). Hint: The original Franklin Mint paperwork is also desired and extremely hard to come by since most specimens are a remnant from a broken up completed set. Hint: Aloha Airlines went out of business in 2008 making this highly sought after by airline and Aloha Airlines memorabilia collectors. 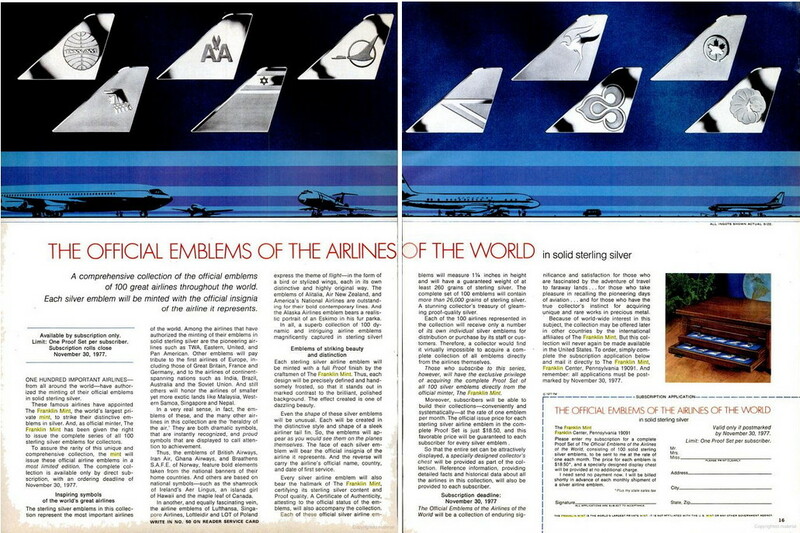 Here is a MIP FMI-A01 with its original Franklin Mint paperwork and magazine ad. 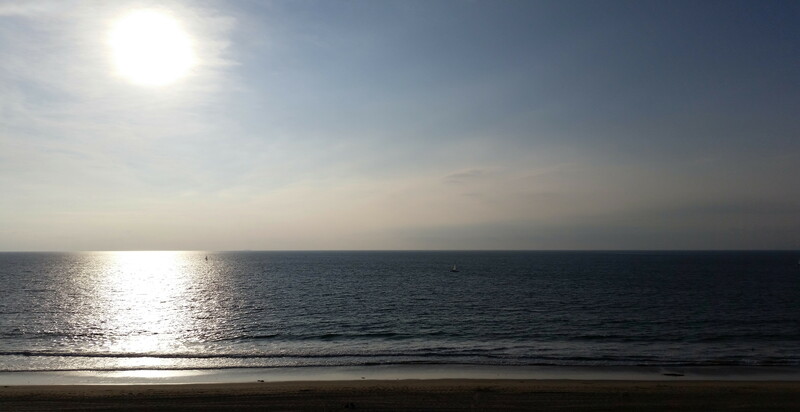 Just returned from a business trip/mini vacation in California. Spent the last 7 days in the Los Angeles area. Had to stop by the Hawaiian eateries. Portuguese sausage, eggs, and rice breakfast was onolicious. Nothing like that on the East Coast USA. I saw that an Eisenhower Appreciation Medal in the form of a jewelry piece was a topic of heated bidding. The seller tried to quote my research…. Only 30 coins were struck for each of the six designs. Here is my hoard (not included is my Princess Kaiulani) of eight (obverse design not shown on purpose). 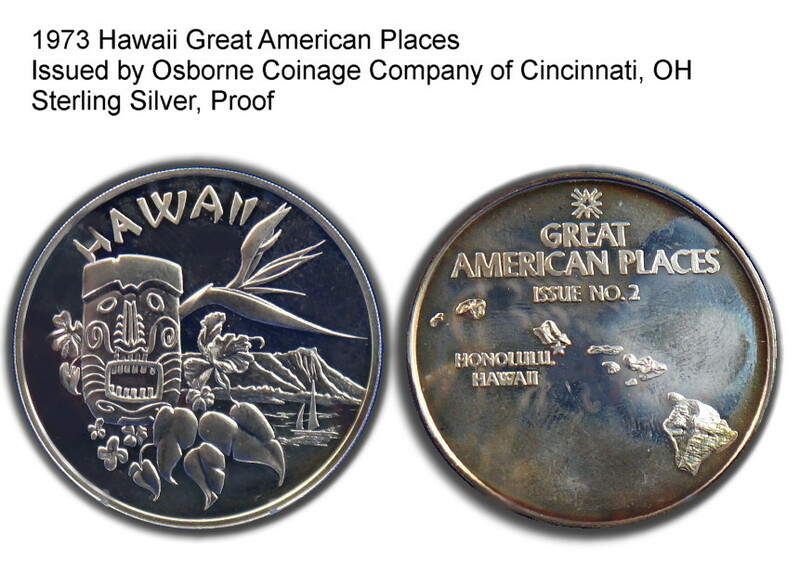 These are fairly unknown silver issues struck by The Honolulu Mint. The style of both coins differ slightly. 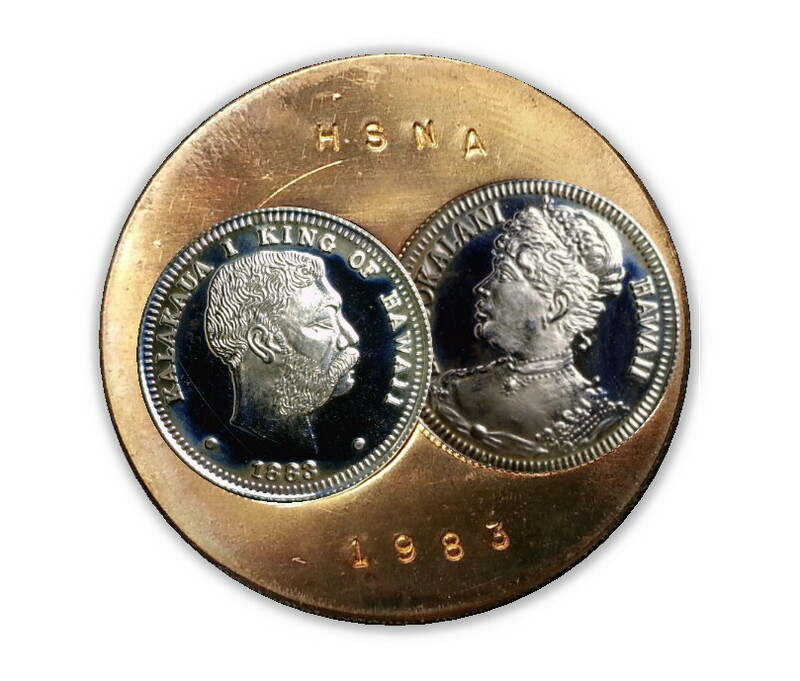 On the obverse: English vs Hawaiian. Date vs year only. 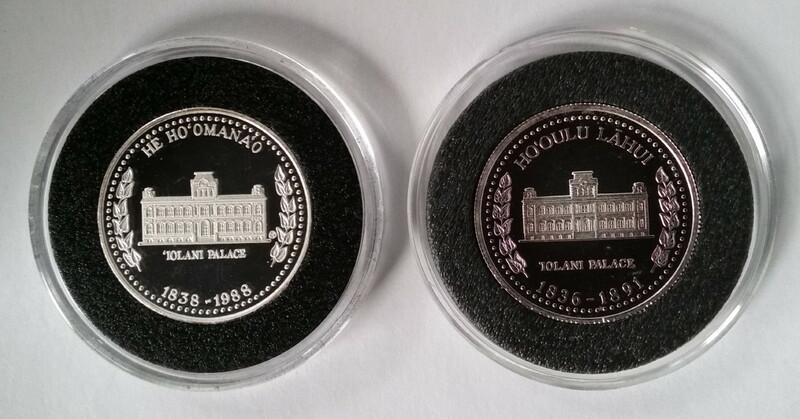 On the reverse: Placement of words ‘IOLANI PALACE. Change in fonts. Size and detail of the palace. I originally believed that this was a Franklin Mint issue. It however is an “OC” issued based on the hallmark on the edge. In addition, there is no Franklin Mint hallmark on the obverse and reverse. I recreated the dual counterstamp on a uniface sand dala (2M-199) with an overlay of a 2MB-189 obverse and an overlay 2MB-154 obverse. All three coins are in my collection.